Japan is a country that loves to celebrate! With some 600,000 festivals throughout the year for different seasons, and many that are unique to specific locales, there’s enough to keep even the most ardent party-goer happy. Although daunting, we’ve singled out 11 of the coolest festivals the country has to offer! A relatively new celebration considering Japan’s rich history, the Tsunan Snow Festival has been taking place for 40 years in the town of Tsunan. Since 2012, the festival has been taking advantage of the open sky offered by the small number of skyscrapers in Niigata's countryside to launch over 1,000 paper lanterns heavenward, complemented by the area’s heavy snowfall. 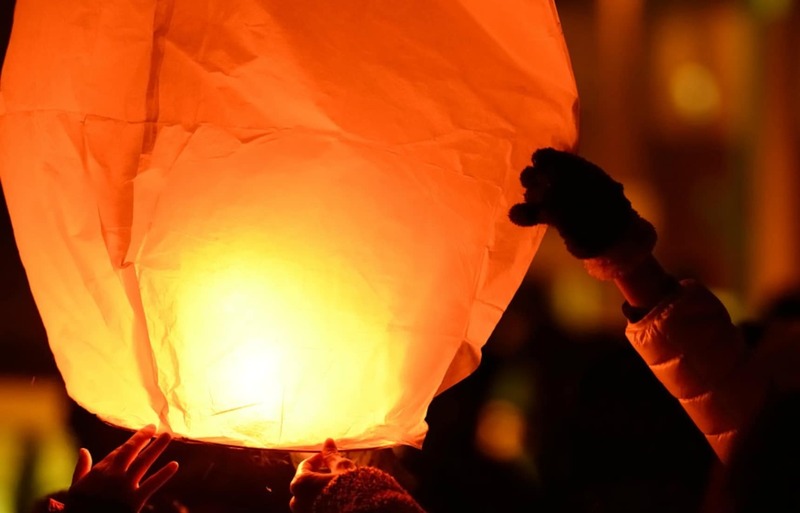 Held in March, entry is free, although there is a fee to release a lantern of your own. A festival I had the pleasure to write about previously , the Nachi Fire Festival is so nice it’s worth mentioning twice! It's one of the country’s largest fire festivals, and takes place at Nachi Falls in Wakayama Prefecture. The falls are worshiped by locals, and portable shrines are carried to the foot of the falls to be purified in the flames of enormous torches. The Soma-Nomaoi is held in Minamisoma City in Fukushima Prefecture, and has a history of over 1,000 years. It has roots in ancient samurai training, and features horseback riders garbed in full samurai gear parading through the streets of the city. Highlights of the festivities include a 1,000-meter (0.6 mi) horseback race, as well as a flag collection contest in which riders compete to collect shrine flags launched into the air on fireworks. Held in the town of Suwa in Nagano Prefecture, the Onbashira Matsuri (literally, "Honored Pillars Festival") is one of Japan’s rarest and most dangerous festivals, taking place once every six years. To symbolize the renewal of Suwa Taisha Shrine, giant logs (weighing up to 12 tons!) are cut from the surrounding forest and carried down the mountain by hand to the shrine’s four complexes, where they are planted into the ground weeks later. The most spectacular sight is the locals riding the logs down steep inclines and across the river, risking life and limb the entire way. Top 4 Snow Festivals in Hokkaido 2019! Stay Cool: 7 Best Shaved Ice Shops In Tokyo!